This vibe was dark, sexual and danceable. It made you want to grind with a vampire to the throbbing basslines written by Twiggy Ramirez. Can you even remember the first time you heard that bass in Manson's cover of "I Put a Spell on You?" I'll bet it made you move, instinctively, without even realizing who or what you were hearing. It is absolutely brilliant. And somehow, some way, Manson has found that vibe again. Some of us thought he might find it with the return of Twiggy to the band, but this is the third album with Twiggy back on board. So what's the X factor here? I honestly can't say. Only Manson probably knows what has inspired him to reach into the depths of himself and pull out something this good. It's a total departure from the failures of The High End of Low or Born Villain. 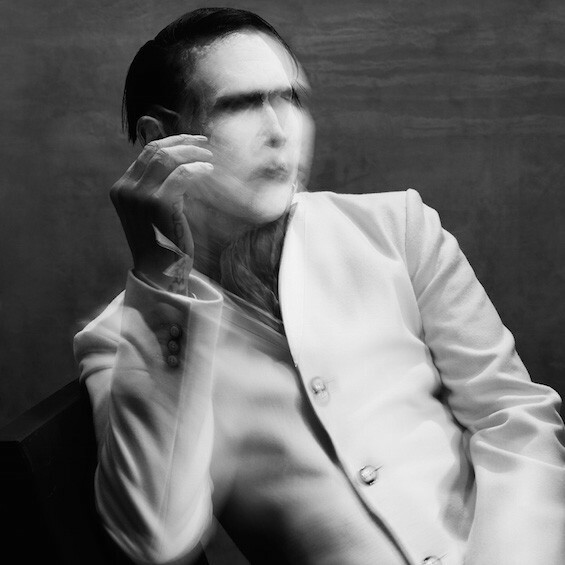 The Pale Emperor simply captures Manson's best side as a performer. That's not the important part to us as listeners. The important part is that we are here with this album in 2015, and finally, after all the turmoil, Manson has revived his youth. While it may not be a perfect album, or even one of the year's best against the strong contenders we're still waiting to hear, Manson has impressed. Give credit where it's due -- he outlived his shock antics. On The Pale Emperor, Manson's persona has finally given way to the superior musician that always lived within. Marilyn Manson 8 p.m. Monday, February 9. The Pageant, 6161 Delmar Boulevard. $53 to $58. 314-726-6161.